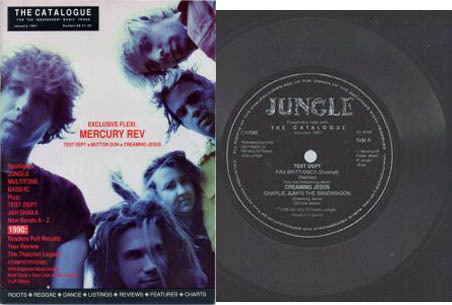 Various Artist releases that feature Mercury Rev songs that can also be found on their albums or singles. Many of these are promo-only releases, meaning they were basically made to be given to radio stations, or to be given out free with purchase of a magazine or something. This is a square flexi with "syringe mouth" on it which was free with the January 1991 issue of a magazine called 'the catalogue' (issue number 88). Nicky says... if i'm right in my calculations this means that this is the very first rev release - ever! which i'm quite chuffed to have. this is also borne out by the fact that syringe mouth is titled 'dripping' on the disk, suggesting that they hadn't even decided on titles by this stage. (the flexi also had 3 other bands on it, all on the mint label). includes: "Chasing A Bee" and "Car Wash Hair"
includes: "Car Wash Hair (the bee’s chasing me) full pull"
I think a "Best of Independent 20" was later released, also with this track. Spiritualized side is "Good Dope, Good Fun" b/w Mercury Rev "Boys Peel Out" (live '93), I believe the same version which can be found on the Something For Joey single. Also includes the tour playbill with pyschedelic photos and a Greenpeace manifesto. Same version that's a b-side on the Something For Joey single. includes: "Something For Joey" on the first disc of singles. includes: "Suzanne Peels Out" on bonus disc of non album tracks. 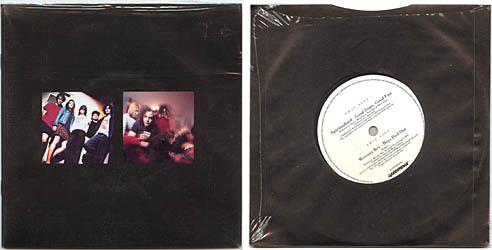 "Suzanne Peels Out" is a demo version of "Boys Peel Out" which can also be found on the Bronx Cheer single. Monsters, Robots and Bugmen - virgin 2cd of great post-rock/weird stuff. includes: "Young Man's Stride" and a Shady song ("Sugar Sugar Sugar"). includes: "Rag Tag (Opening Theme Music)"
liner notes: "PREVIOUSLY UNRELEASED material of an unspecified length ©1997 Jonathan Donohue & Sean Macowiak"
This was the first Rev track released by V2. It was later released as a bonus track on the Japanese version of Deserter's Songs and as a b-side to the first Goddess On A Hiway single. 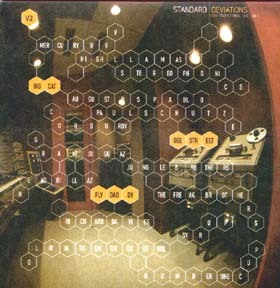 includes: "I Only Have Eyes For You"
includes: "Goddess on A Hiway"
includes: "Delta Sun Bottleneck Stomp (chemical brothers remix)"
includes: "Delta Sun Bottleneck Stomp"
The CD doesn't indicate exactly where the recording is from, but it appears to be the same version that's a b-side on an Opus 40 single (Zundfunk, Munich 19th Feb 1999). The recording here is lower quality and contains some talking by the DJ over the beginning of the track. includes: "The Dark Is Rising"
includes: "In a Funny Way"
includes: "Secret For A Song"
includes: "First Time Mothers Joy"